– Rev. Dr. Martin Luther King, Jr. Throughout history, the destructive forces of oppression and abuse have been stoked by evil intentions, agendas and behavior. Yet, there is another source that can fuel insidious plans — the reliance on silence. Over the years, I have learned the value of silence for a specific reason — to listen closely to learn and grow. Keeping quiet for the purpose of being a student of others and situations is an admirable quality and discipline. But, the motivation to stay silent because of the consequences is a real fear gripping the hearts of many. Too often, our culture has exposed the destructive force of silence when it was necessary to speak up. The fear to speak the truth in love and bring correction can be attributed by the addictive comfort of convenience. The convenience of not saying anything to avoid being the target of attacks, false accusations and slander certainly maintains the status quo. But, it can also lend itself to being complicit to a system, person or thought that only serves to cause greater pain. More than ever, our culture is facing some hard and inconvenient realities that must be addressed in an assertive manner. If not confronted head-on, it can serve to exacerbate conditions that are not helpful to anyone. The same applies to our current politics. For years, political allegiances have caused those who are supportive of a candidate or leader who has said or done something inappropriate to remain silent or to defend the indefensible. In the 1990s, when President Bill Clinton acted inappropriately in the White House, too many supporters of the President defended him. You may have agreed with his policies, but it doesn’t mean you don’t have the right to speak directly to his lack of character. It also doesn’t mean you’re being hypocritical. When President Donald Trump reportedly called nations in Africa and Haiti, s**thole nations (Link to Story), such language from the leader of the free world has been universally viewed as unacceptable. Whether you agree with President Trump’s policies on immigration, the economy or his leadership of the nation, can we agree that such language will not make america great again? I’ve been dumbfounded by the silence of the good people and how anyone who values character and integrity can defend such remarks. The coarsening of our culture, the increased partisanship in our politics and the voluntary segregation of aligning with those who only agree with us, have led us to this moment. It is unfortunate to conclude that too many people will overlook clear infractions of dignity and respectability for the purpose of their agenda going forward. In a culture that is peppered with the phrases “fake news” or “alternative facts”, we must be even more diligent in searching out the facts of an issue and debate the best course of action for the betterment of society. We shouldn’t dismiss debate, but we must reject the deliberate effort to intentionally mislead. 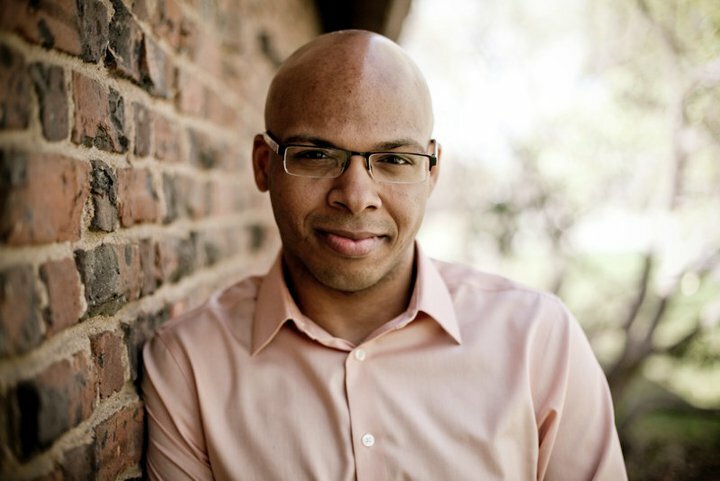 Ryan E. Faison is the College and Young Adults Pastor at Christ Church in Montclair & Rockaway, NJ and the Executive Director of Young Adults United. Ryan also serves on the Clergy Advisory Board for HomeCorp in Montclair and the Nyack Alliance Theological Seminary Alumni Association. Ryan serves as a preacher, worship leader, and producer at Christ Church. Ryan has been married to Kristyn (an educator and worship leader) for 7 years and lives in Northern NJ. Connect with Ryan online at @RyanFaison (FB, Twitter, IG, Snapchat, Periscope).